The Buddha's Teaching shows us that there are heavens and hells not only beyond this world, but in this very world itself. 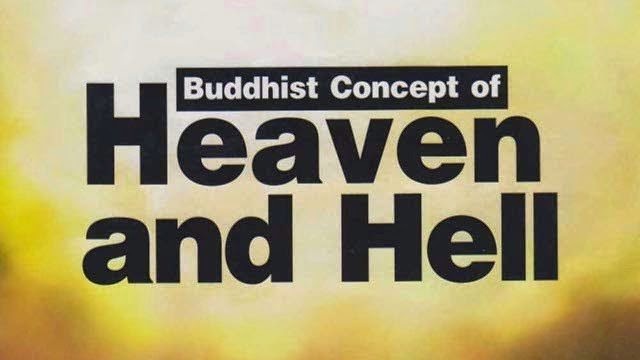 Thus the Buddhist conception of heaven and hell is very reasonable. For instance, the Buddha once said, 'When the average ignorant person makes an assertion to the effect that there is a Hell (patala) under the ocean he is making a statement which is false and without basis. The word 'Hell' is a term for painful sensations. 'The idea of one particular ready-made place or a place created by god as heaven and hell is not acceptable to the Buddhistconcept. Heaven is a temporary place where those who have done good deeds experience more sensual pleasures for a longer period. Hell is another temporary place where those evil doers experience more physical and mental suffering. It is not justifiable to believe that such places are permanent. There is no god behind the scene ofheaven and hell. Each and every person experiences according to his good and bad kamma. Buddhist never try to introduce Buddhism by frightening people through hell-fire or enticing people by pointing to paradise. Their main idea is character building and mental training. Buddhists can practise their religion without aiming at heaven or without developing fear of hell.